It’s LG V30 Day today! I know that we all have a bit of a Pixel 2 hangover, but there really is another brilliant phone from LG arriving this morning that you should strongly consider. 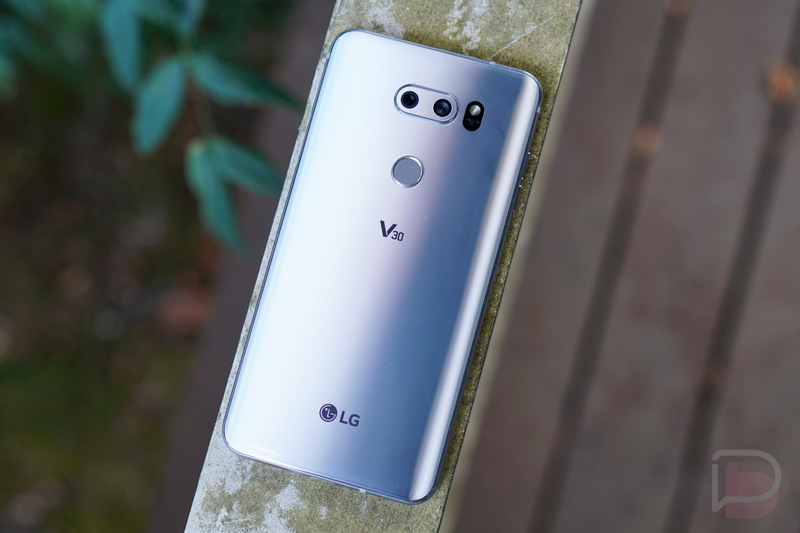 The LG V30 is the latest in the V series from LG and it’s arguably the best phone they’ve ever made (maybe by a mile). It sports that same 6-inch POLED QHD display as is in the new Pixel 2 XL, along with a Snapdragon 835, 4GB RAM, 64GB storage, IP68 water and dust resistance, wireless charging, 3300mAh battery, fingerprint sensor, and Quad DAC. It also has one of the best dual camera setups in the business with its combination of standard 16MP shooter and 13MP wide-angle camera. It is easily my favorite dual camera setup of them all. If interested, Verizon has the device in-store, ready to ship today, October 5. AT&T has it available on their site and will get units in-store tomorrow, October 6. T-Mobile has a pre-order open right now and plans to have the phones to you by October 13. The phone costs around $800 at full retail everywhere, but everyone has their device payment plans these days to make that more manageable. More pricing details can be found here. We haven’t reviewed the LG V30 yet. Don’t worry, we will soon. My initial thoughts, though, after spending a handful of weeks with a pre-production unit are that you won’t be disappointed.